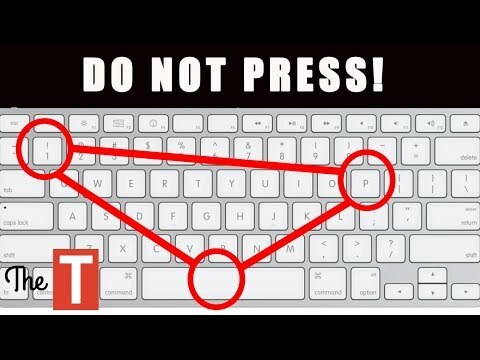 10 Secret computer functions you need in your life. Whether you’re a Macbook or a Windows user, you probably know that both systems come with plenty of keyboard secrets that can help you work faster and stay productive. From finding a downloads folder with just a click, clearing all formatting, and restoring closed tabs to quickly defining a word, screenshotting a section, and bringing up emojis and accents, here are some of the best keyboard secrets you didn’t know about! Let’s start with this hidden Windows keyboard shortcut that’s perfect for any college student or anyone who accidentally closes tabs and doesn’t know how to bring them back without going through Chrome’s history. Just use CTRL, Shift, and the letter ‘n’ to restore all closed tabs! If you’re a Mac user, you have the option to easily get a definition of just about any word without having to install any extra extensions for your browser. Just use a combination of Command Key, Control, and the letter ‘D’ to get the definition of the highlighted word. You can also easily bring up emojis and foreign characters if you’re a Macbook user. For foreign characters, just hold down the English version of the letter and find their alternative. For a selection of emojis, click Control, Command and Space. What’s your favorite keyboard shortcut Find out how to bring up emojis or what the shortcut is for a word definition on your Macbook in our video. If you’re a Windows user, we’ll show you how to restore closed tabs, a shortcut for Task Manager, how to quickly lock your laptop, and more!